Tilting at Windmills Since 1980: Christopher Plummer - Is There a Torch to Pass? 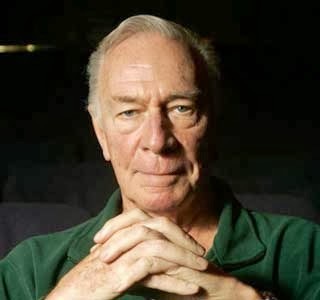 Christopher Plummer - Is There a Torch to Pass? Several weeks ago, I saw two remarkable Christopher Plummer performances in as many days. "Barrymore" on PBS (for which he won the Tony when it was on Broadway) and his one-man show, "A Word or Two," at the Ahmanson. In both cases, I was moved and mesmerized by this fine actor's mastery of his craft. Vocally, emotionally, physically, he displayed everything I have always believed an actor should be and could do. To look at Plummer so deftly fill the screen with nuance and detail, then watch him command a large stage with power and poise...well, I started to realize how rare that is. Then Sunday came and I got sad. The news about Phillip Seymour Hoffman popped up on my iPad. Rarer still. Sure, there are great "film actors" around. Some good TV actors even. There are fine stage actors scattered all over the country in the big regional theatres, on Broadway, and in dodgy-ramshackle-black-boxes-in-crappy-low-rent "theatre districts" everywhere. But, where are the Christopher Plummers? Where are the giants that do everything well? There are really only a few left and they are starting to get a little long in the tooth. . Plummer, of course. Patrick Stewart. Ian McKellan. Angela Lansbury. Maggie Smith. Kenneth Branagh is up there for me. Waiting in the wings are the likes of...well, who, really? Moreover, and this is the worrisome thing, in an age of reality TV, celebutants, stunt casting, the really great young actors don't have the opportunities they once did. When publications like Backstage cater more towards selling casting director workshops and providing a forum for agent advice columns, I wonder where young actors really go to get a good start in a business full of leeches hungry for their ten percent. Not that the world and work of the actor has ever been easy. No one ever said it would be. But the giants like Mr. Plummer (and those who came before) do remind us that craft and art and longevity just might be more important that the number of hyphens you put after your name.